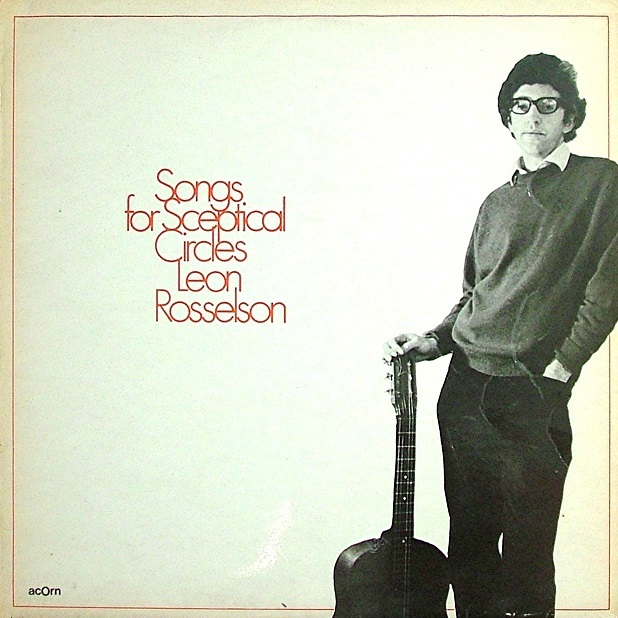 It seems that Leon wanted to re-issue his first solo album in 1970, but for some reason the original LP was either not available, or Leon decided he could improve on it. 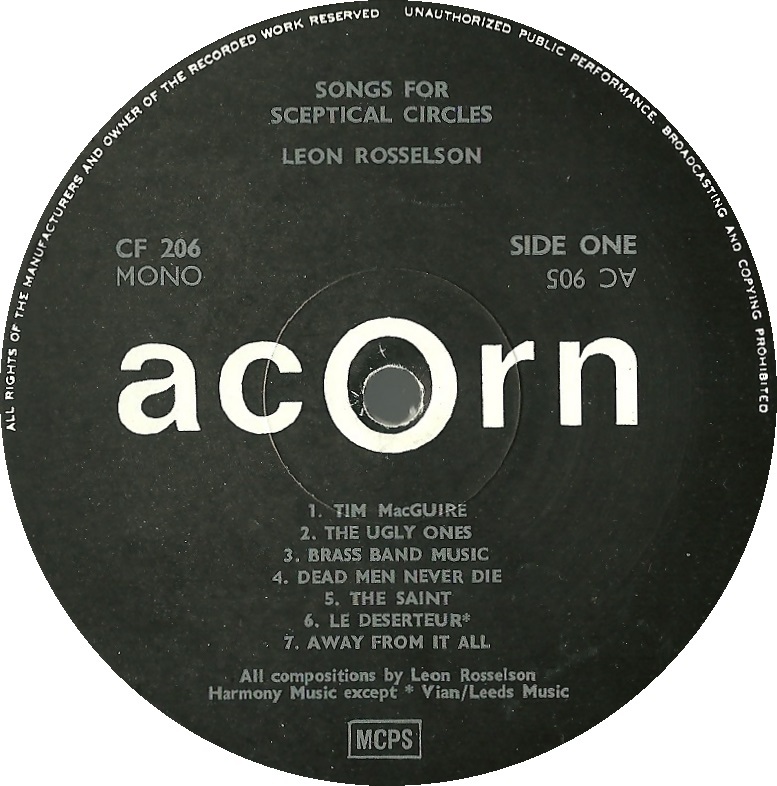 The solution was simple: Leon went back into the studio and re-recorded the entire album for Acorn - a label he would subsequently sign to on a longer term basis. 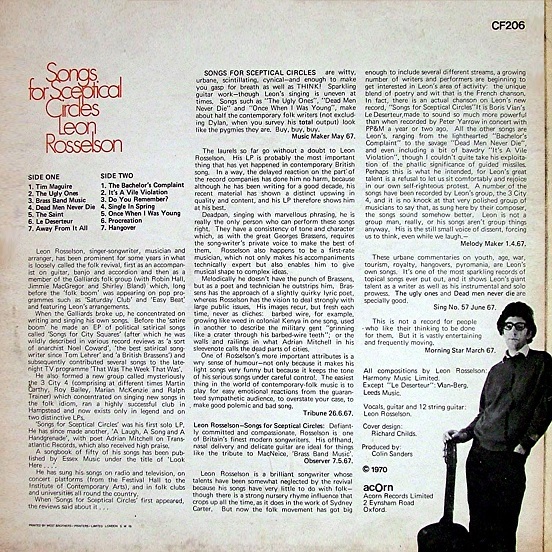 The sessions were produced by Colin Sanders, and the LP released in a new sleeve, designed by Richard Childs. The back of the cover contains reproductions of reviews for the original release, published in 1967. So far as the recordings go, most do not differ significantly from the original versions, although "One When I Was Young" is slower and has more impact. 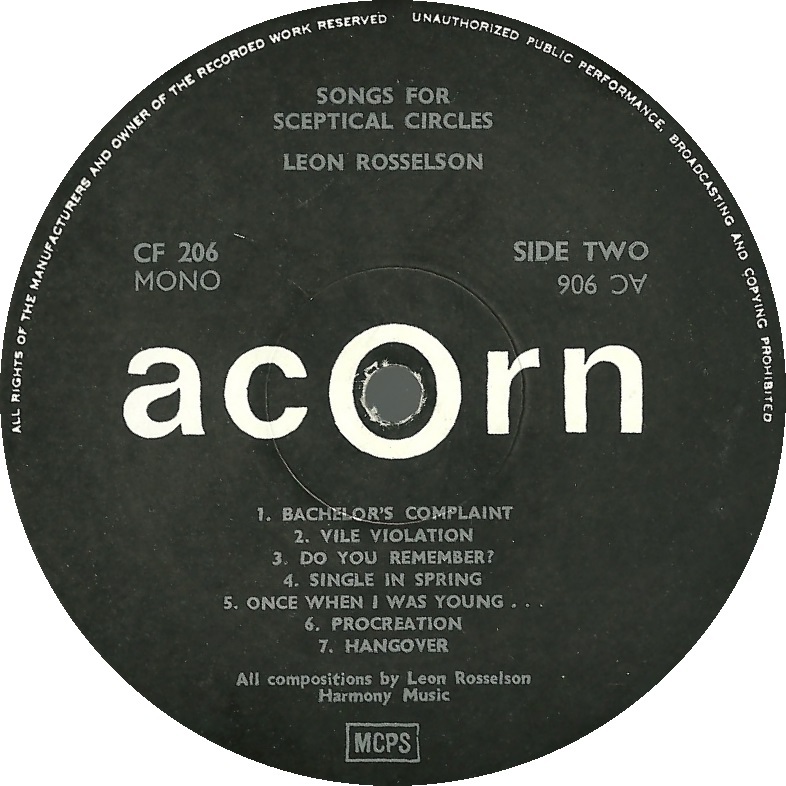 Overall, these versions can be seen as improvements on the original recordings, perhaps because by now, Leon had had a few years more experience of performing them.